Not to be confused with Antipope Clement III. 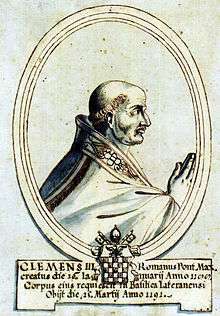 Pope Clement III (Latin: Clemens III; 1130 – 20 March 1191), born Paulino (or Paolo) Scolari, reigned from 19 December 1187 to his death in 1191. 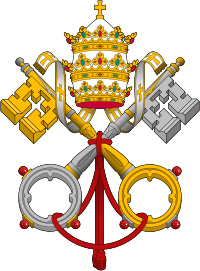 A Roman by birth, Pope Alexander III appointed him in succession Archpriest of the patriarchal Liberian Basilica, Cardinal-deacon of Sergio e Bacco, and finally Cardinal bishop of Palestrina in December 1180. He appears as signatory of the papal bulls issued between 15 October 1179 and 11 December 1187. Clement also inherited a depleted college of cardinals, consisting of no more than twenty cardinals. 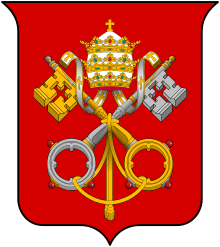 He orchestrated three series of promotions (March 1188, May 1189 and October 1190) that resulted in over thirty new cardinals. He pushed King Henry II of England and King Philip II of France to undertake the Third Crusade. In April 1189, Clement made peace with the Emperor Frederick I Barbarossa. He settled a controversy with King William I of Scotland concerning the choice of the archbishop of St. Andrews, and on 13 March 1188 removed the Scottish church from the legatine jurisdiction of the Archbishop of York, thus making it independent of all save Rome. In spite of agreeing to crown Holy Roman Emperor Henry VI, Clement III angered him by bestowing Sicily on Tancred, son of Roger III, Duke of Apulia. 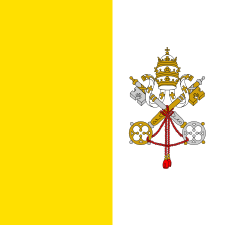 The crisis was acute when the Pope died in the latter part of March 1191. 1 2 3 Rockwell 1911. ↑ Luscombe, David; Riley-Smith, Jonathan, eds. (2004). The New Cambridge Medieval History. 1. Cambridge University Press. p. 402. This article incorporates text from a publication now in the public domain: Rockwell, William Walker (1911). "Clement III". In Chisholm, Hugh. Encyclopædia Britannica. 6 (11th ed.). Cambridge University Press. Loughlin, James Francis (1908). "Pope Clement III". In Herbermann, Charles. Catholic Encyclopedia. 4. New York: Robert Appleton Company.